A modern link style with alternating finishes makes for a fascinating and subtle interplay of texture. 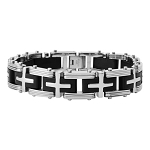 This men's stainless steel bracelet offers high polished links interspersed with brushed finish links. 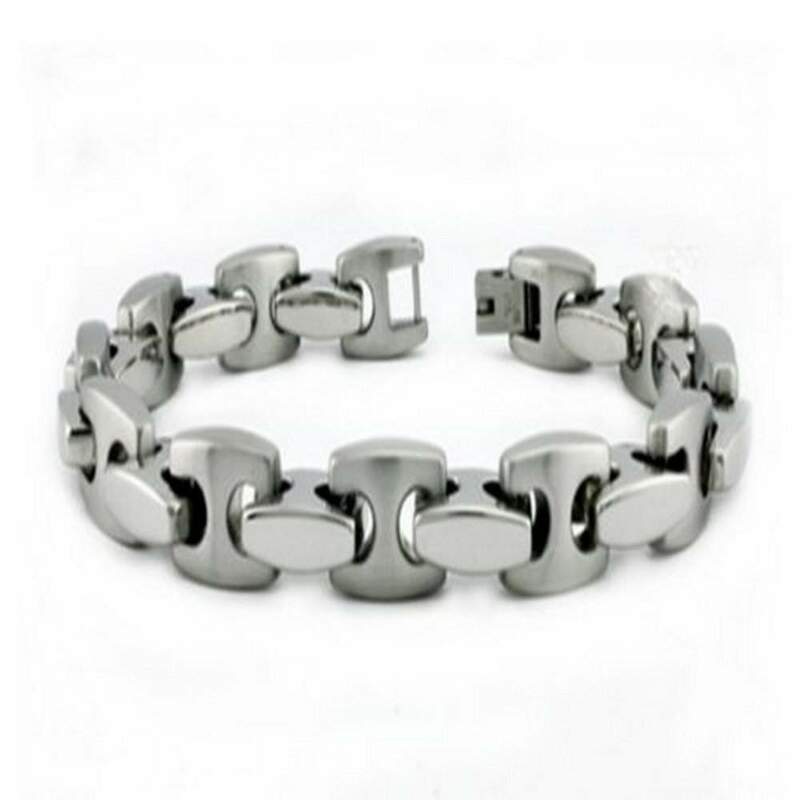 A fold-over clasp perfectly finishes this 10mm wide by 9 inch long stainless steel bracelet.